Oxford United have decided to release eight players when their contracts expire at the end of the season. Agon Mehmeti, Wes Thomas, Aaron Martin, Dwight Tiendalli, Mike Williamson, James Roberts, Josh Ashby and Ivo Pekalski are all set to depart. Forward Gino van Kessel will also leave the Kassam Stadium at the end of his season-long loan from Slavia Prague. 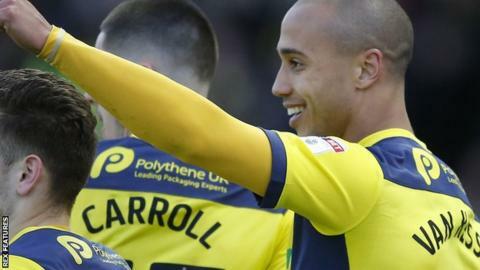 The club have chosen to activate contract extensions for defender Curtis Nelson and midfielder Rob Hall. One-year deals have also been offered to left-back Ricardinho and centre-back Sam Long, with a new contract also on the table for midfielder Joe Rothwell. Manager Karl Robinson has also chosen to activate a one-year extension for goalkeeper Scott Shearer, while Charlie Raglan and Kane Hemmings will return from loans at Port Vale and Mansfield Town respectively.